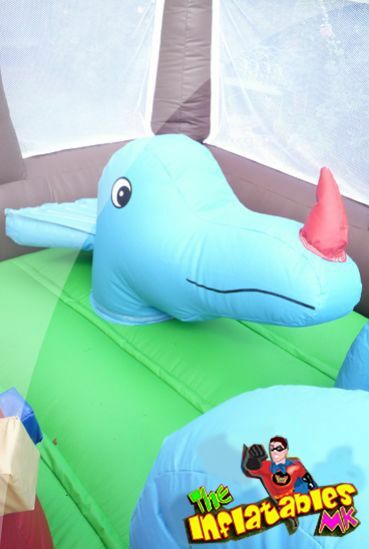 Your Dino bouncy castle was an absolute hit at my sons 5 th birthday party! Even the parents commented on how good it was and couldn't believe the price! Totally worth it and would definitely hire one again. Thank you! 8 Year Old Birthday Party! 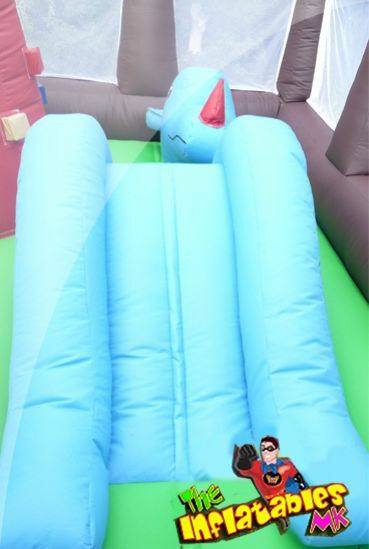 They arrived on time.The kids loved this castle- Underwater style with slideEvery child beamed and raved about the castle. I had parents ask where it was sourced and gave them your web address.Every child slept good that night! Some even cried when they had to leave it- bless them.Quickly set up; safety instructions explained clearly and varied payment options which was useful.Amazing. It made the party!No need for pass-the-parcel with this here!Excellent. Will definately re-use this company for all future events! 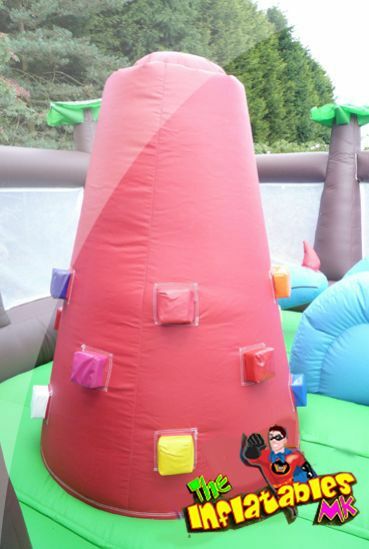 Here is our Dinos Funtime arena bouncy castle. 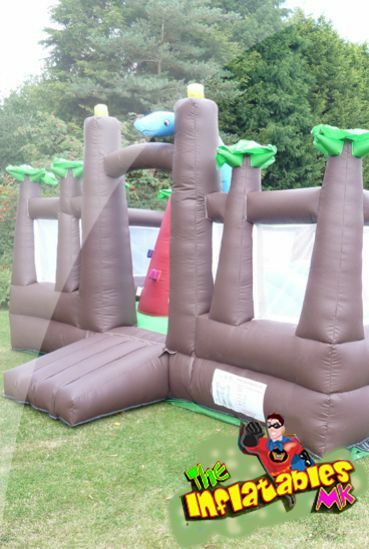 This is a superb castle to entertain any child at your party or event with its climbing post, inflatable objects and slide as well as the jump space around them and of course not forgetting Dino the friendly dinosaur. 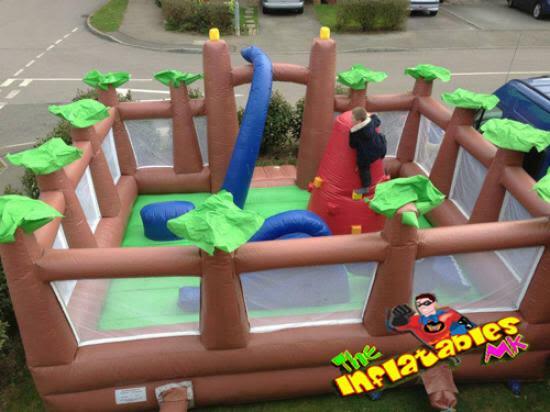 We recommend this for children upto 6 years old only. 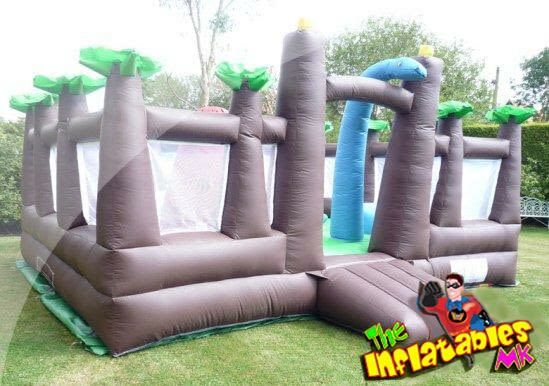 They can play safely in the nearly fully enclosed area, it has netting all round to keep the little ones safe and also to enable the parents and party guests to view the fun taking place inside. 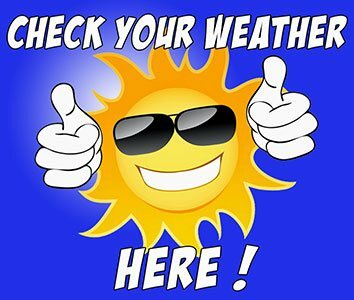 Please note All prices quoted are based on a hire period of 5 hours and any collections made after 8pm are classed as overnight bookings.